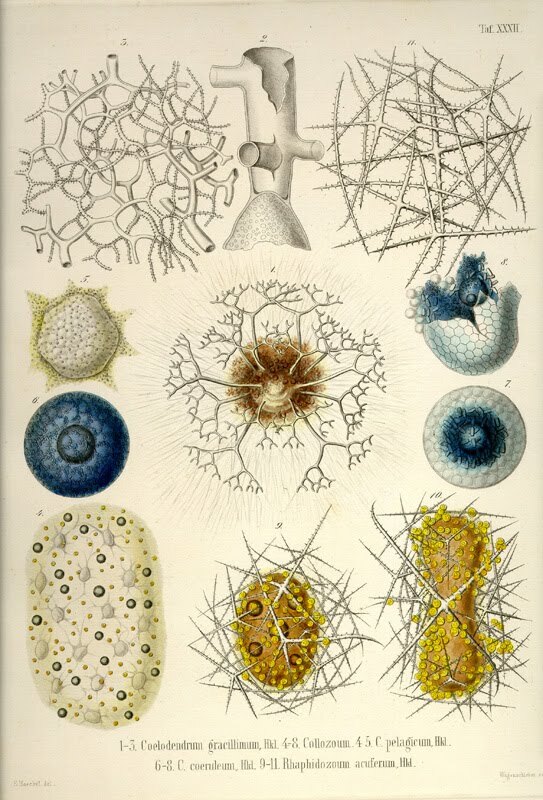 This April Fools Day, why not join Morbid Anatomy and Observatory for a screening of one of our absolute favorite films, Proteus, featuring an introduction by--and Q and A with--the film's maker, David Lebrun, in a rare East Coast appearance? 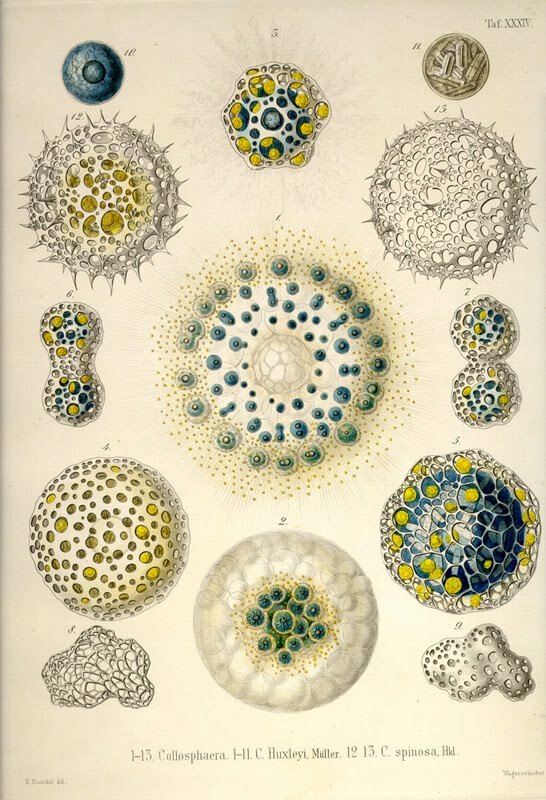 The film Proteus details the biography and struggles of biologist and artist Ernst Haeckel (1834-1919) who, as the copy for the film describes, "found himself torn between seeming irreconcilables: science and art, materialism and religion, rationality and passion, outer and inner worlds." 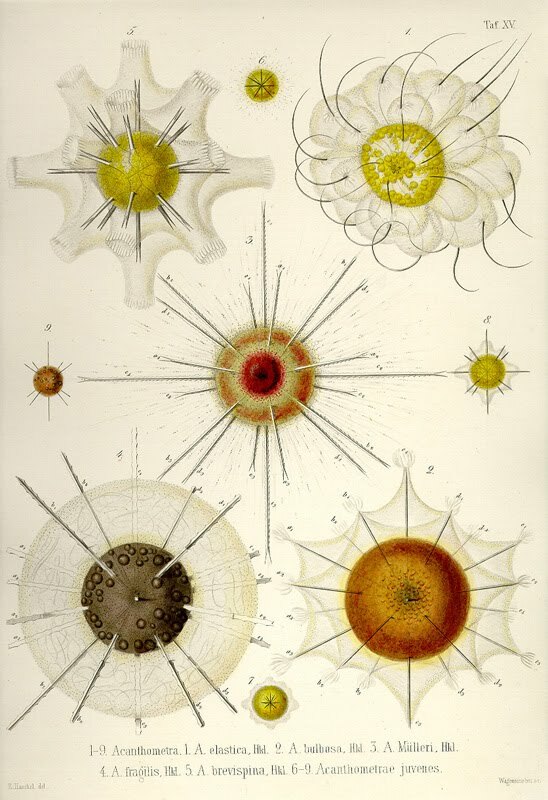 Lebrun tells Haeckel's tale with inventive and almost chillingly beautiful animation constructed almost entirely from 19th Century archival images, with the most stirring and awe-inspiring sequences created from quick successions of scores of Haeckel's astonishing depictions of protista, as seen above in some of his drawings, and in the video clip at about 5:10 minutes in. We are thrilled to be hosting two screenings of the film, one at 7 PM and one at 9 PM, in conjunction with Proteus Gowanus Interdisciplinary Gallery and Reading Room. Film maker David Lebrun will be on hand at each to introduce the film and to answer any questions you might have. Please pass this on to any interested parties, and hope very very much to see you there! 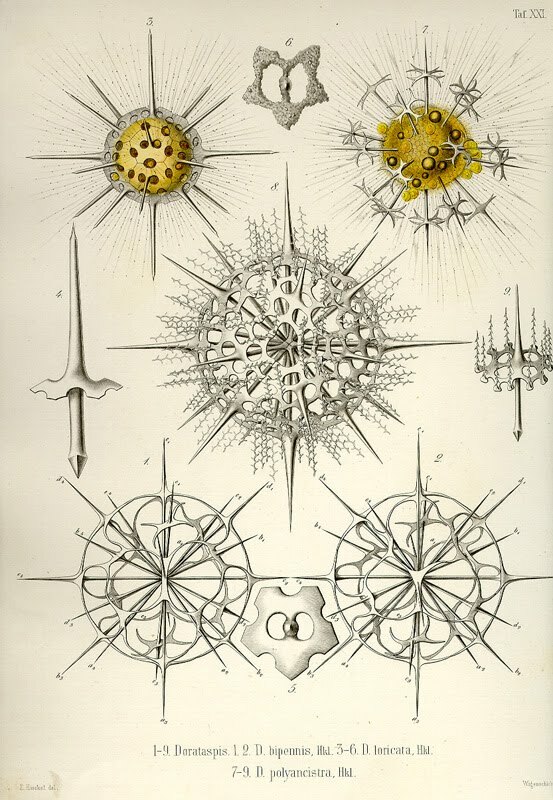 of our cities and the gardens of our sea-side residences. DAVID LEBRUN has served as producer, director, writer, cinematographer, animator and/or editor of more than sixty films, among them films on the Mazatec Indians of Oaxaca, a 1960s traveling commune, Tibetan mythology and a year in the life of a Maya village. He edited the Academy-award winning documentary Broken Rainbow, on the Hopi and Navajo of the American Southwest. Proteus premiered at Sundance and has won numerous international awards. The two-hour documentary feature Breaking the Maya Code (2008) tells the story of the 200-year quest to decipher the hieroglyphic script of the ancient Maya of central America; a drastically shortened version was broadcast on the PBS series NOVA and has been seen on television around the world. His experimental and animated works include the animated films Tanka (1976) and Metamorphosis (2010), works for multiple and variable-speed projectors such as Wind Over Water (1983), and a 2007 multimedia performance piece, Maya Variations, created in collaboration with composer Yuval Ron. Lebrun has taught film production and editing at the California Institute of the Arts and has curated numerous art exhibitions. He was president of First Light Video Publishing from 1987-1996, and since then president of Night Fire Films. He was a founding Board Member of the Center for Visual Music (CVM) and is on the Advisory Board of the Chabot Space & Science Center’s Maya Skies project. For a complete biography and filmography, please visit www.nightfirefilms.org. You can find out more about the film by clicking here, and more about this event on the Observatory website by clicking here; you can access these events on Facebook here (7 PM) and here (9 PM). You can get directions to Observatory--which is next door to the Morbid Anatomy Library (more on that here)--by clicking here. You can find out more about Observatory here, join our mailing list by clicking here, and join us on Facebook by clicking here. 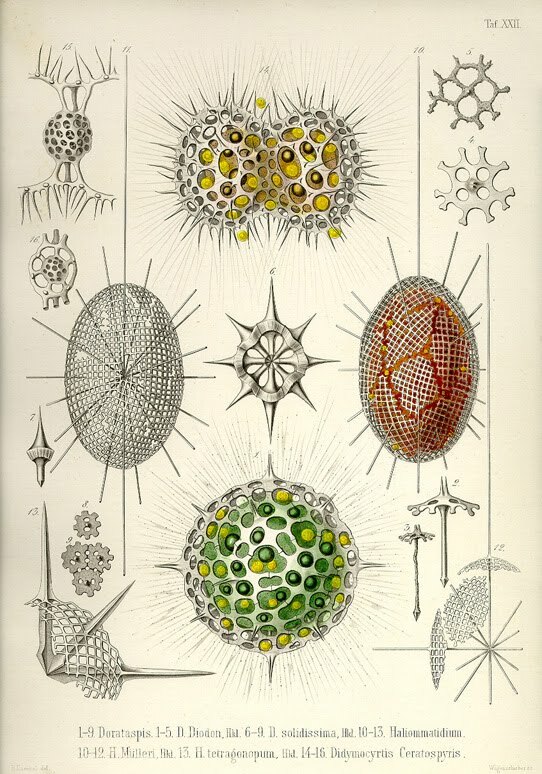 Images: From Ernst Haeckel's Die Radiolarien, Berlin, 1862. And special thanks to Ben Cerveny for turning me onto this wonderful film so many years ago.